Recently, I've read some articles about sharing books and websites for UI/UX design. I think it might be useful to write an article about prototyping tools and share with you. So, I collect 10 prototyping tools this time and put them into 3 different categories. Category A: Easy and fast. Category B: Light and flexible. Category C: Comprehensive and functional. Tools: Chainco, InVision, Flinto Lite. 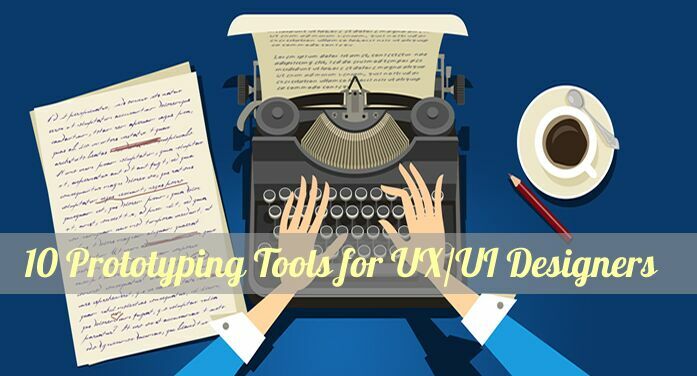 Just like the slogan of Chainco, these tools are great demonstration tools for UI designers. All the three tools are based on the web. Although, they look different from each other, but, in fact, they have so many similar features. The interaction setting is about creating hot spots, and taking the page-switching as the main function. There's nearly no cost for learning or operation. Designers in China like Chainco better, but it is only available in Chinese version. More designers prefer to use InVision because of the function of collaboration. A great benefit of using this kind of tool is that, you could import those pictures that UI made as the pages. Some of them could import PS and AI design files directly, like InVision and Flinto Lite. However, the shortcoming is also obvious. They don't support setting components interaction or even setting components. Tools: Mockplus、Proto.io 6、UXPin、Flinto for Mac. In this category, these tools are really good helpers in interaction design. They have at least one thing in common: they are relatively lighter and more flexible than other tools. Taking Flinto for Mac as an example, you could create interactions by just moving the components on the layers. Meanwhile, maybe the operation modes of these four tools seem different, but they all use link point and drag-and-drop as their basic operation mode. This highly visualization makes the designing process easy and effective. Mockplus is more typical in this category. Compared with the components in Proto.io, simple components - container - completed components, I prefer to choose Mockplus. It offers you more highly packaged components, and as a "lazy" designer, I love this. What's more, you could rely on the easy operation mode and over 2500 vector icons to finish your design even though the network is not stable or totally not available. Exporting HTML files and publishing your project directly could make prototype testing much easier than before. Of course, you will spend more time and costs on learning than category A on the tools in category B. But, if you have tried tools in catogory C, you will find out that, the costs for Group B are totally acceptable. If you want to make your prototype functionally comprehensive, then there must be something related to coding in your design. In these tools, Axure RP is more familiar to us. Also, Axure RP has kept a pretty good balance between the difficulty and usability. However, there are still many designers confused about some functions, such as setting values and conditions. While Axure is seeking a balance, what Framer JS telling us is coding a prototype. This is the prototyping tool all based on coding. As long as you could write the code, it will make everything come true. These tools are more comprehensive than others, but you also need to pay a lot to learn them, especially Framer JS, I'm pretty sure there is no one else to compete with it in terms of the included powerful functions. However, it's definitely not easy to master this powerful but sophisticated tool. Hence, if you want to use tools in Category C, then enough knowledge must be prepared. These are 10 prototyping tools I want to share with you. Everyone has a different understanding about prototyping, and the mastery level of different knowledge is not the same either. Combining with your personal situation, I think you will find a suitable tool among those 10 tools.